Before becoming an optometrist, Dr. Dohogne served eight years in the Missouri National Guard and is a Veteran of Operation Iraqi Freedom. 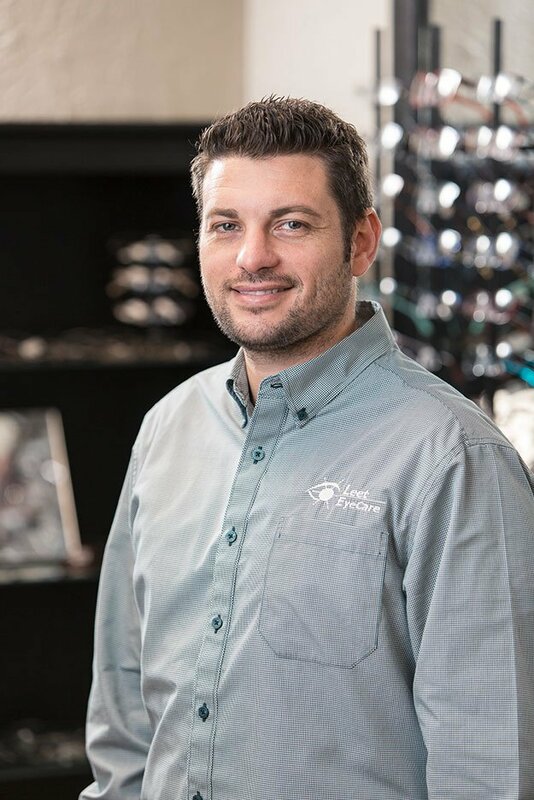 He attended Southeast Missouri State University for his undergraduate degree and the University of Missouri – St. Louis (UMSL) College of Optometry, where he graduated with honors and received the Contact Lens Clinical Excellence Award. His specialties include contact lenses and geriatric care, and he is a part of the Midwest Mobile EyeCare team who provide care for nursing home residents in Southeast Missouri. He’s been with Leet since 2014. Dr. Dohogne grew up in Delta, Missouri. He is a member of the Cape Girardeau Jaycees, Chaffee Elks, and VFW Post 3838. He and his wife Mallory have three daughters, Liza, London, and Lennon, who keep them on their toes. He enjoys coaching his daughters’ sports teams, and unwinding by going golfing, fishing, and hunting. If Dr. Dohogne could turn any activity into an Olympic sport, in what event would he have the best chance to medal?